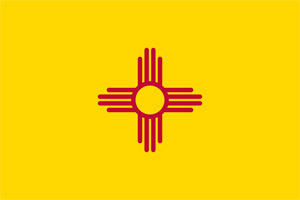 New Mexico is the fifth largest state in the United States. It is located in the southwest. It is a land of vast plains, rose-colored deserts, steep plateaus, and craggy snow-capped peaks; it is a Mountain state famous for the variety and spectacular color of its scenery. It has a high percentage of Hispanic; its demographics consist of Spanish, Mexican and Native American peoples; yet despite the multitude of cultures it is one of the most sparsely inhabited states in the United States. Their livelihood comes through ranching and commercial farming, for which much of its land is being used, though in some cities manufacturing and other urbane economic activities are being carried on. Santa Fe is its capital and Albuquerque is its largest city. Millions of acres in the Land of Enchantment, New Mexico’s nickname, are being protected by the government as national parks, one of which is Carlsbad Caverns National Park, located in the southeast and famous for having the largest, most extensive underground caves and passageways in North America. The state’s cultural traditions are preserved in its many festivals and rodeos. Popular events include the Santa Fe Fiesta; the New Mexico State Fair in Albuquerque; the International Hot Air Balloon Festival also in Albuquerque, the largest hot-air balloon gathering worldwide; and the Hatch Chile Festival. New Mexico has other interesting historical facts to boast of. The first atomic bomb was detonated in 1945 at the Trinity site of the White Sands Proving Grounds, New Mexico, which has turned the state since then into an important center for nuclear research and development. Forest fire prevention’s living symbol Smokey Bear was actually a bear cub rescued from a forest fire in Lincoln National Forest in 1950.